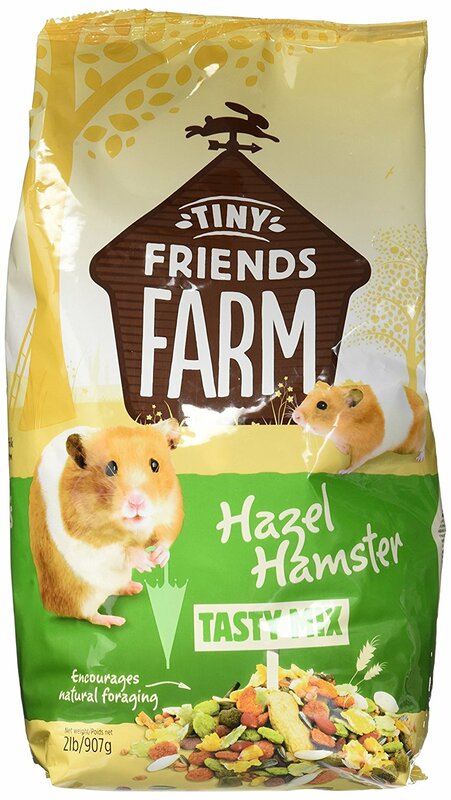 Home Hamsters How Often Do I Feed My Hamster? People are fond of regular meals and we often tend to put our pets on a similar system of two or three meals a day. At a minimum, most pets are fed at least daily. Every hamster likes to keep a store of food in a safe place. Usually close to his or her nest. 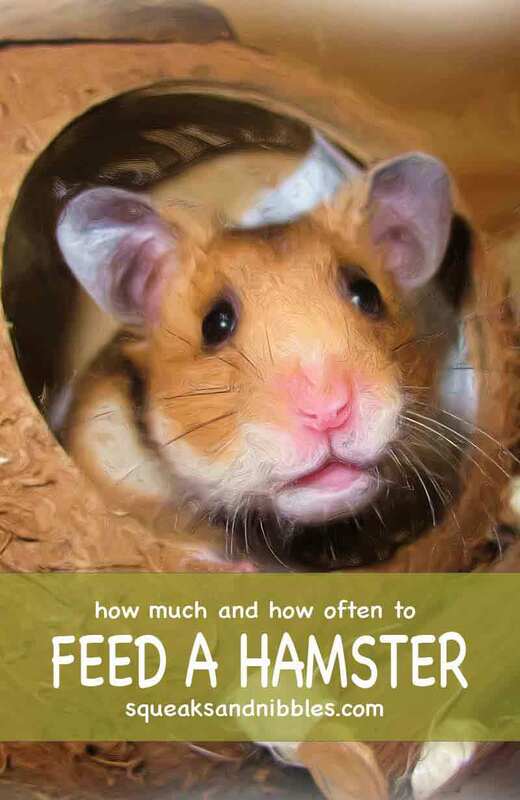 This helps wild hamsters survive during times when there are food shortages. Instead of starving, the hamster can tuck in to the food stored in his larder. In the wild these clever little creatures will sometimes store huge quantities of food. You’ll probably notice your hamster emptying his food bowl quite soon after you fill it up. He’ll stuff the contents into his cheeks and then return to his nest to empty the food into his store. But you may be wondering whether or not to fill up the bowl again, or whether to wait until the hamster has eaten what is in his store. How often to fill a hamster’s bowl? You only need to fill your hamster’s bowl once a day because his mealtimes are not restricted to when the bowl is filled. If he builds up a big store in a few days, then cut down on those quantities. We give our Chinese hamster approximately a table spoon of Tiny Friends Farm Hamster Food a day. 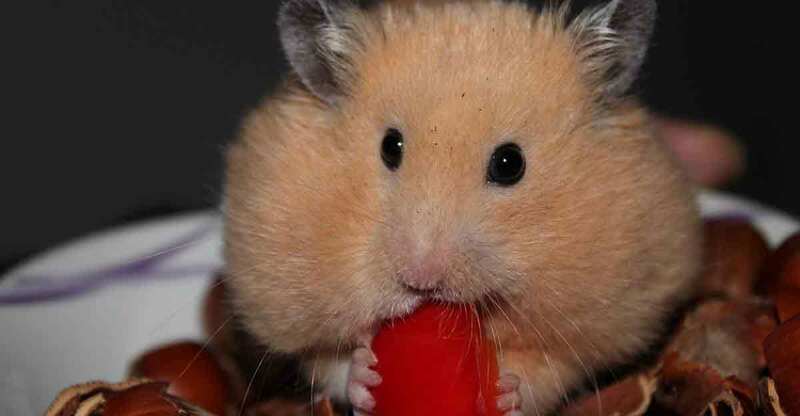 Dwarf hamsters will need a little less, and Robo or Chinese hamsters may only need a single tablespoon of food once per day due to their tiny size. 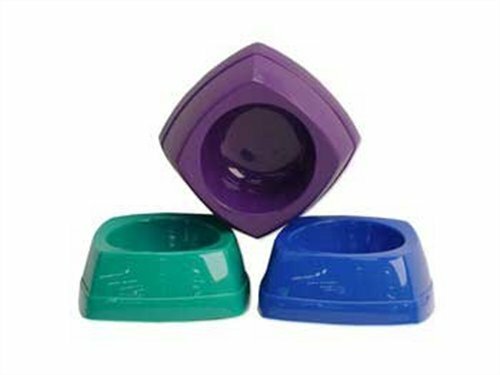 Make sure you have several bowls so that you can put his daily rations in a clean one and remove the old one for washing. It’s okay to remove your hamster’s food store and throw it away when you clean out the cage. At least once a week. He won’t approve, but he doesn’t need it in the same way that wild hamsters do, and he’ll soon make another. If you leave the store in his bed, then the food will go mouldy and potentially make him unwell. 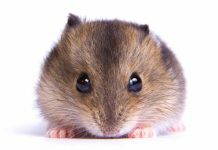 It’s important that your hamster doesn’t get fat, as this can make him sick. So don’t be tempted to fill the food bowl every time it is empty. Because a hamster will try to store their food, fresh food should only be fed in tiny quantities. 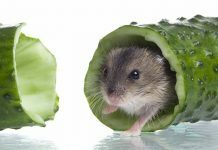 Your hamster won’t get hungry if there is food in his store, but he may get fat if the store gets too big. Fresh food and vegetables should be fed in tiny quantities and any that remains uneaten should be removed the same day. 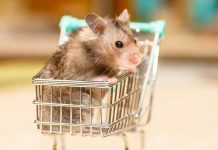 Your hamster’s food store should be cleaned out at least once a week and checked every couple of days to make sure he is not being overfed. 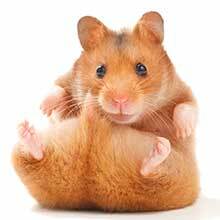 That way your hamster should stay happy, healthy and fit throughout his life. Previous articleBunny On A Leash – Can You Walk A Rabbit?